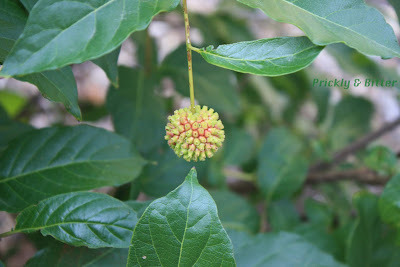 Buttonbush is a native plant to North America from southern Ontario all the way south to Mexico. 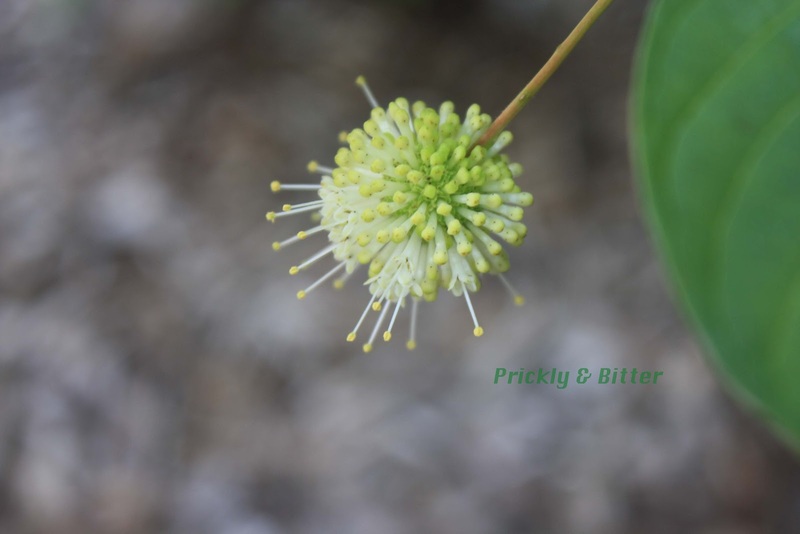 There are two, perhaps three, clear distinct populations of buttonbush. One population occupies a range extending almost completely down the eastern seaboard of North America, from Ontario east to Nova Scotia all the way south to Texas and east to Florida. A second population occupies the fragment of the native range in Mexico (these two populations don't overlap in area, but can very easily still interbreed). A third population exists to the west of the Rocky Mountains in California. The fact that the native range is now so fragmented suggests this species was at one point much more abundant than it now is. It also suggests that those two populations (the Mexico/eastern North America population and the California population) are now undergoing the process of speciation because of the huge geographic distance that is between them. My blog readers in warmer climates (or those who have been to warmer climates and have gone out and appreciated some of the local species grown for agricultural purposes; Ethiopia, Colombia, Peru, Ecuador, Jamaica, Cuba, Dominican, Mexico, Venezuela, South Africa...) might recognize some features of this plant while finding others completely foreign and not looking like they belong (a somewhat similar story to the oak-leaved hydrangea, which you can read all about HERE). The leaves of this plant look strangely similar to those of the coffee tree, while the flowers (and later, the fruit) look completely different. Well, you're on the right track! This is one of the northernmost species of the Rubiaceae, or the coffee family. Other important species in this family are the madder plant (a very important plant in the natural dye industry; the dye obtained from the madder plant is a brilliant red), cinchona (important for the alkaloid extract quinine, important in the treatment and prevention of malaria), and woodruff (important in the production of coumarin, and profiled on my blog HERE). Like many native North American plants, the buttonbush has a historical medicinal use for Native North Americans. 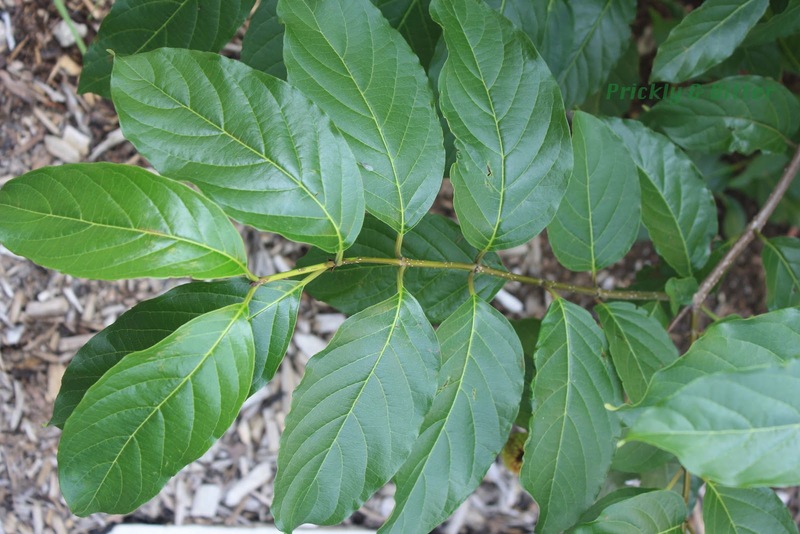 The bark of the plant was used like a tea (and sometimes chewed when it was young and fresh) to treat diarrhea, rheumatism, headache, fever, toothaches, and (of all things) venereal disease. Whether or not it is medicinally valuable against many of these conditions remains to be seen, but it is useful on the skin to relieve itch and various skin rashes. One of the types of rashes that it is most effective against is the skin rash associated with an allergy to the essential oils of the poison ivy plant. Conveniently enough, where the buttonbush is most common is where there is usually a high density of poison ivy plants. It's nice that natural remedies to some of nature's most toxic plants grow right beside the offenders! Most medicinal effects this plant may or may not have have been abandoned since this plant is actually quite toxic. It contains a chemical called cephalathin, which causes vomiting and, in severe cases, can cause convulsions and paralysis. 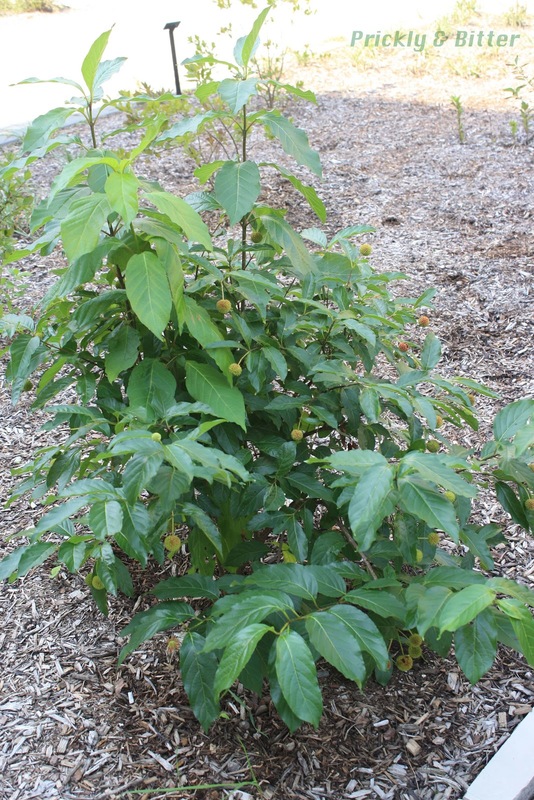 Consumption of this plant is highly discouraged, even though many other species rely on it for food (birds, bees, deer, rabbits, waterfowl, and shore birds).